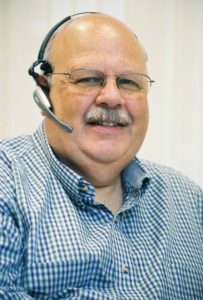 Duane Donahue, a 26-year employee of Union Mutual of Vermont Companies, was recently named the Outstanding Customer Service Representative of the Year for Vermont by The National Alliance for Insurance Education & Research. Donahue is now eligible to become the National Outstanding CSR of the Year. This prestigious award, regarded as the foremost national award of its kind, recognizes the contributions and commitment of those who serve clients within the insurance industry. Each state winner receives a framed certificate and is eligible to compete for the national honor, which carries a $2,000 cash award, a gold and diamond pin, $1,000 cash award for the nominator, and a scholarship for the recipient’s employer to any program offered by The National Alliance. The award will be presented in November.